I love love love Christmas and I absolutely love receiving Christmas cards in the mail each year from my family and friends. It's the only time of year that I get excited to get the mail. 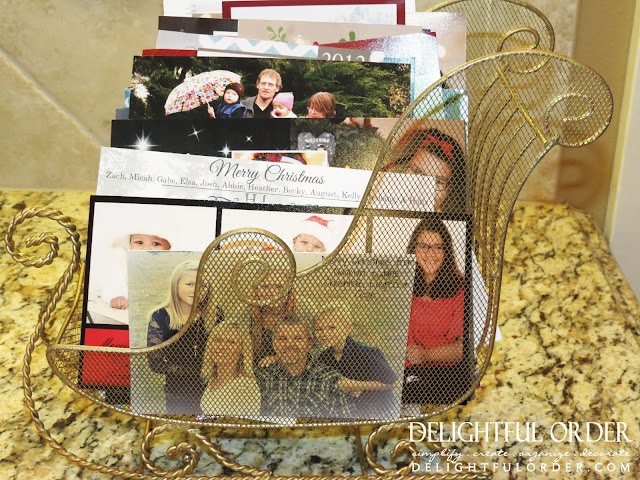 Today, I'm sharing a few ideas on how one can display those Christmas cards in your home. I made this piece using chicken wire and a frame. First I cut the chicken wire and then spray painted it black. Then I simply stapled the chicken wire to the back of the frame. This piece is hanging on a wall in my kitchen. I use it all year long for greeting cards, photo's, birth announcements, invitations, etc. that I receive from family and friends. At Christmas time, I use it to display those beautiful Christmas Cards. I showed you this last year on Part 1 of my Christmas Decor Home Tour Post. and since I receive so many cards, they can't all fit on the chicken wire frame, so the rest of the cards and letters go into this little sleigh that I've had for forever. I made this piece at my mom's house. It'd be perfect for Christmas Cards. 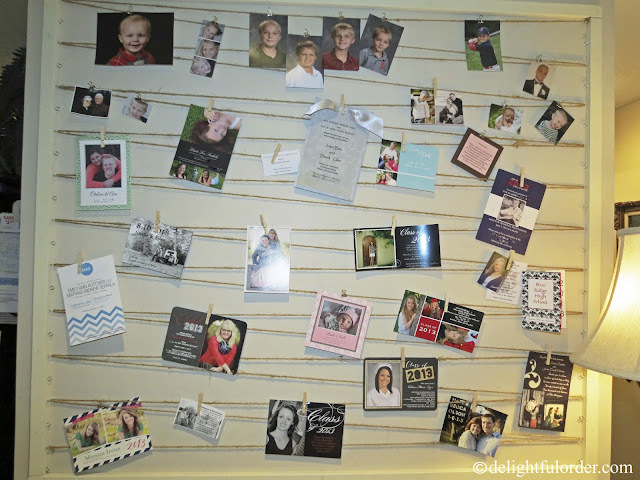 Want to see how to make this photo wall? I show you the tutorial right here. Every year, I hang up this advent calendar. This same concept could be great to display Christmas Cards too. ... or you can make a Christmas card display with branches and a vase. 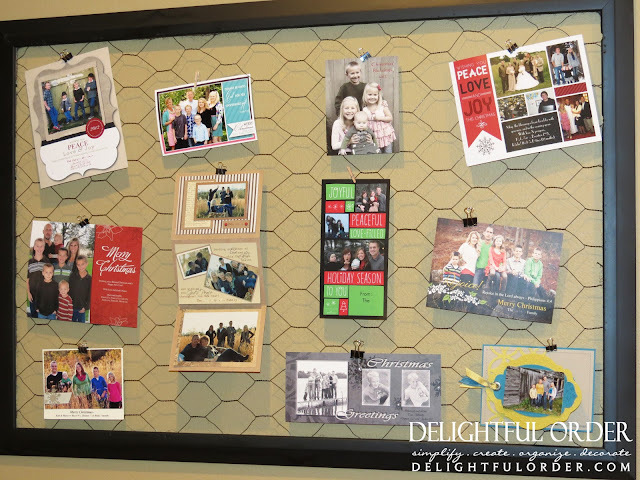 That's it... a few ideas for you to display those Christmas Cards. Neat! I put up a tall skinny lighted tree with white lights and a few gold & white decorations. I punch a hole & tie a small gold bow on the top to hang each one.